CPSE, China Public Security Expo (Shenzhen) is one of the largest exhibitions in the world, and most influential one in Asia. This year is the 16th year of CPSE, would attract thousands and hundreds relative suppliers, venders and buyer all over the world. Intelligent Digital Security business unit of NEXCOM participates in this important event this year from Oct 29th to Nov 1st, NEXCOM booth--6C11, at Shenzhen Convention & Exhibition Center, Shenzhen City, China. NEXCOM Intelligent Digital Security business unit has dedicated itself to serving ODM/OEM worldwide customers, provided professional manufacturing capabilities and capacities. Also located in Shenzhen, the manufacturing site of Intelligent Digital Security business unit is in charge of all the orders, then shipped to worldwide customers. Intelligent Digital Security business unit GM Steve Yang said "We are glad to serve the worldwide ODM/OEM customers, our competitiveness is Taiwan design and China made, that means we provide the best quality product with cost effective advantage, there's no one like NEXCOM that is able to provide this kind of service. It's customized service, and we want to be the leader in digital surveillance devices field." 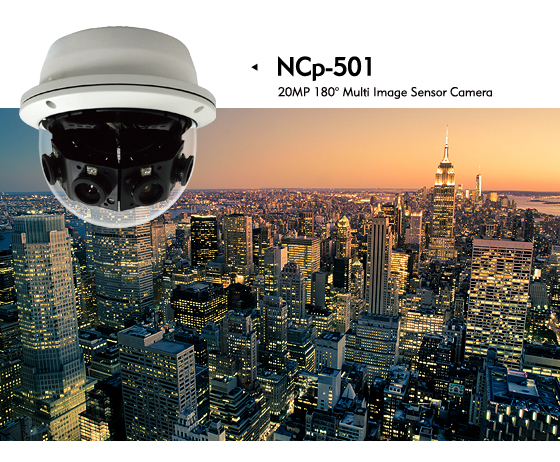 The hottest product in the booth is NCp-501, a new multi-sensor panoramic camera, which offers 4 sensors with total high resolution 20MP. It also provides 180ﾟcoverage with fixed focus lens to capture excellent images. Furthermore, it has built-in smart IR function with IR distance effective up to 30 meters (89 ft.), can be deployed indoors or outdoors under particular surroundings, such as buildings, hospitals, public transportation, parks, tourist sites and other places that need surveillance solutions. Another product is worthy of paying attention, BIC-251 series, the 3D camera based on time-of-flight (ToF) technology, fitting multi-purpose applications. This cost effective 3D camera, mechanically compact depth image solution design in order to capture clear and consistent images in all kinds of circumstances with different illumination, and its quick response time is able to offer accurate data for different applications, like the retailing analysis, people counting, cargo dimension scanning, monitoring factory operation and so on. Welcome to visit NEXCOM booth in CPSE 2017, NEXCOM staff will advise more details about the product demonstrated in the booth, and present the scale and scope of its ODM/OEM businesses.